Jessica Govan and I became friends when she became an ExVoto client. She has quite a collection of ExVoto pieces! Jessica owns Big Leaps Photography and I called on her professional skills when The Southern Coterie (Southern C) asked me to contribute a travel guide for my hometown of Montgomery, Alabama. 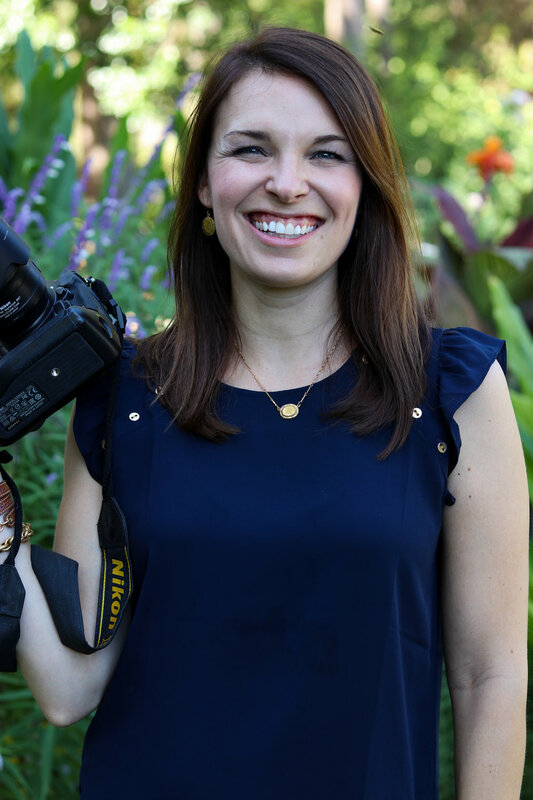 Jessica offered the most beautiful photographs and The Southern Coterie says that travel guide is one of the strongest and most popular guides they offer on their site. Jessica’s gorgeous photograph of one of Montgomery’s giant ginko trees in the downtown historic district makes a rather regular appearance on the ExVoto social media feed as well as that of The Southern Coterie. It is just stunning! Jessica is a sweetheart with great talent! Shop Jessica’s earrings HERE. Shop Jessica’s necklace HERE. I have always loved photography and being creative with a camera. In high school, I studied photography and learned how to develop in a dark room. I continued my love of the photography dark room in college (before the digital days!) and ended up with a minor in Photography from the University of Alabama. While in college, I had the pleasure to intern in the Southern Living photography department and Health magazine art department. When I moved to Montgomery, I continued my photography education at Auburn University Montgomery. I began a career in another field, but I had such a passion for photography and would take pictures for my friends here and there for fun. The turning point for me occurred when my oldest was born six weeks early. After that, I took on photography full time and started Big Leaps Photography, which allowed me to be able to be home with my daughter, and follow a career path I had always dreamed of beginning. Shop similar bracelet HERE. Shop the Kate Bracelet HERE. My favorite part of my job is getting to meet new people, especially new moms. I feel like not only am I a photographer, but an unofficial nurse, lactation consultant, labor coach and best friend all in one! When I walk into a delivery room or into a home with a newborn, I love being able to be there for the moms in more then one way. Having three kids myself and being a part of so many deliveries and newborns' lives, I have lots of love to share. One of the coolest jobs I have had the pleasure of doing was flying to St. Louis to photograph a professional baseball player's wife's delivery. It was fun not only to help a family capture the special moments of new births, but to visit a new city and get to meet some amazing families who were with the St. Louis Cardinals. We had so much fun, the family had me come back a second time to photograph the birth of their second child! I would love for my business to grow even more in the future to help meet and serve more outstanding moms and families in the river region and throughout the state of Alabama by capturing the special moments in the life of a family. To a 20 year old I would say, don't be afraid to take a chance on pursuing your career goals. If you love what you do and have confidence in your abilities, take the leap from your 8-5 job and do it! Also, practice practice practice. The more pictures you take, the better you get! There are so many pieces I love! It's so hard to narrow it down, but my favorite would be the brass cuffs. My sweet husband gave me three of them on our ten year anniversary with each of our kids' names engraved on them. I love wearing them and am excited to pass them on to my girls one day for their first ex voto piece! Shop earrings HERE. Shop necklace HERE. Follow Jessica on her blog Big Leaps Photography HERE and her Facebook and other social media HERE!